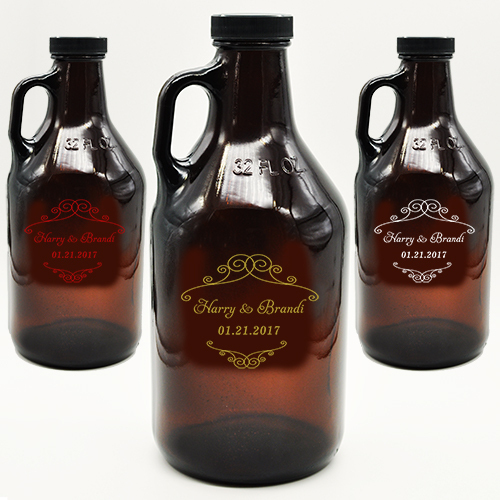 Customize this amber growler with up to 2 lines of text enclosed within this vintage scroll. Perfect for weddings & anniversaries. 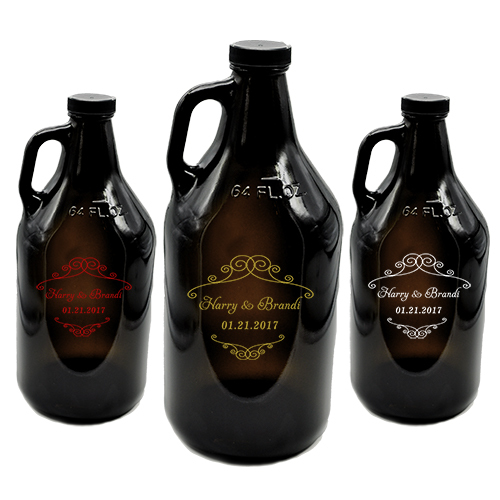 Surprise your partner with this Personalized Wedding Couple 32 or 64 ounce Amber Growler when you get ready for your toast. Pour your favorite Champagne from it on your big day! Choose your sandblasting color: natural eteched, red, white or gold color filled. Growler is customized in the USA. Screw top lid included. Hand Wash Only!